The top 190 New Zealand individuals and families have a combined worth of $60 billion. In fact, the top 200 names don't even make up 1% of its population, more like 0.0044%. More refugees are dying in desperate attempts to reach safety in Europe than ever before as political leaders turn their backs. At least 3,000 migrants have died in treacherous journeys across the Mediterranean Sea so far this year, drowning or being suffocated in the bottom of overcrowded smugglers’ boats. Rescue workers told The Independent the situation in the central Mediterranean is getting worse as the number of refugees shows no sign of slowing. Let's reject the ridiculous claims that they are arriving to take advantage of our supposed "overly-generous" benefits system. They are fleeing our bullets and bombs. The World Health Organization defines food security as a situation when all people at all times have physical and economic access to sufficient and nutritious food that meets their dietary needs and food preference for an active and healthy life. The lack of a balanced diet minus essential nutrients results in chronic malnutrition. According to the Global Hunger Index 2014, India ranks 55 out of the world’s 120 hungriest countries even behind some of its smaller South Asian counterparts like Nepal (rank 44) and Sri Lanka (39). Despite its self-sufficiency in food availability, and being one of the world’s largest grain producers, about 25 per cent of Indians go to bed without food. Describing malnutrition as India’s silent emergency, a World Bank report says that the rate of malnutrition cases among Indian children is almost five times more than in China, and twice that in Sub-Saharan Africa. India operates one of the largest food safety nets in the world — the National Food Security Act 2013. India’s Department of Food and Public Distribution, in collaboration with World Food Program, is implementing this scheme which provides a whopping 800 million people (67 percent of the country’s population or 10 percent of the world’s) with subsidised monthly household rations each year. Yet the results of the program have been largely a hit and miss affair, with experts blaming the country’s entrenched corruption in the distribution chain for its inefficacy. Pawan Ahuja, former Joint Secretary in the Ministry of Agriculture, says India’s problems result mostly from a deeply flawed public distribution system than anything else. “Despite abundant production of grains and vegetables, distribution of food through a corruption-ridden public distribution system prevents the benefits from reaching the poor.” says Ahuja. It has been said that the attraction of Bernie Sanders was his principled stand and reticence to compromise his political ideals. His supporters have been impressed by the staunch defense he made of his "democratic socialism.” However, Sanders can be criticized for having conceded the most basic of socialist tenets: that an independent working class must create its own revolutionary party and put an end to class collaboration. His support and endorsement of Hilarity Clinton legitimized those who felt a need to offer a “pragmatic” electoral policy of the “lesser evil”. Success in the class struggle demands working-class independence from all capitalist parties. Sanders instead simply increased the ability of the “progressive” wing of the Democrats to absorb popular discontent. The task of convincing fellow workers of socialism is a daunting one. 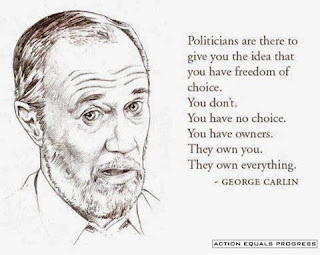 The working class has been fooled into accepting the concept of common interests wherein the problems of the capitalist class and its state are theirs also. The belief that there exists a community of interests from which we all derive common benefits is a mistaken one but nevertheless held strongly even by supposed critics of the status quo such as Sanders. Two crucial political fallacies permeate American workers thinking. First, that the present system can be organized through a process of legislation and regulation so that it will operate in the interests of the majority, and second, that "proper leadership" is an essential requirement. 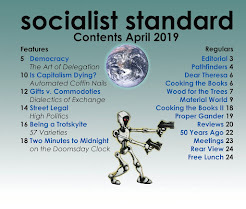 Such ideas have created a cornucopia of radical-left parties in the United States but the almost-forgotten World Socialist Party of the United States may impress you if you have an appreciation of the history of America’s socialist movement. 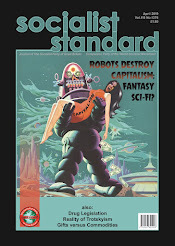 The WSPUS maintains that it has been unique in the history of American socialist parties since its inception by unrelentingly putting forward the original conception of socialism, defined as a post-capitalist mode of production where the accumulation of capital is no longer the driving force governing production, but production is instead undertaken to produce goods and services directly for use. 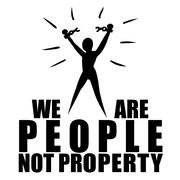 The WSPUS defines socialism as a money-free society based on common ownership of the means of production and cooperative and democratic associations as opposed to bureaucratic hierarchies and companies. Additionally, the WSPUS considers statelessness, classlessness and the abolition of wage labor as components of a socialist society—characteristics that are usually reserved to describe a fully developed communist society. Unlike anarchists the World Socialist Party advocates a political revolution because it argues that as the state is the "executive committee" of the capitalist class. 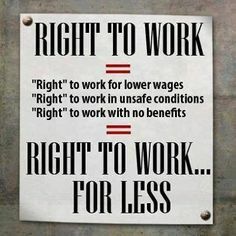 It must be captured by the working class to keep the former from using it against the will of the latter. A "mild-mannered, blue-eyed man with a vast memory" who was "textually brilliant in Marxist lore", as one observer noted, Adolph Kohn attempted to gather around him others opposed to the World War in Europe and who felt that the pursuit of ameliorative reforms only served to bolster the capitalist system. Members of a “Study Circle” began to argue that a new, anti-reformist party separate from the SPA should be organised. Others, such as leading left-wing members of the SPA in Detroit like John Keracher and Dennis Batt, were at first sympathetic, but they felt that Marxists should remain in the SPA for the time being, and swing it towards socialism. The formation of a new socialist party was premature, they claimed. This small group decided to organise separately, and at a meeting in Detroit on July 7, 1916, the Socialist Party of the United States was launched. At the meeting, 19 members of the Detroit local of the SPA resigned from that party and at its formation, the SPUS had only 43 members. The SPUS sent its manifesto to the author, Jack London, and on September 21, just eight weeks before he died, he replied to the party’s national secretary William Davenport. The founding members were frequently asked why they were adding to the number of socialist parties. Is America not already blessed with a multiplicity of workers’ parties? Why start another? Why add to the confusion? The answer given was that there is no way of challenging and refuting the spurious programs of the parties which promises to reform capitalism except by building up from the ground an organisation of socialists working only for socialism. The SPUS participated in the left-socialist circles of the time, mostly in the profusion of socialist educational classes, especially with the Michigan socialists expelled from the SPA in 1919 who first helped form the Communist Party of America (CPA) and later formed the Proletarian Party of America. Groups were formed in New York City, Cleveland, Portland and San Francisco. The "Proletarian" group and the SPUS split apart over support for the Soviet Union. The Proletarian Party, headed by John Keracher, regarded the USSR as a workers' state which needed defending and was expelled from the SPA in May 1919. Together with a number of other former SPA factions, it assisted in forming the Communist Party. Yet within a year, Keracher’s Michigan group was charged with “Menshevism,” because they did not believe that a socialist revolution was imminent in the United States. They were expelled from the Communist Party. They continued to support Bolshevism, they also denied that socialism had been established in Russia. It was felt unfortunate that it was not possible to save “these otherwise valuable socialists” from their “infatuation” with Bolshevism, a SPUS member put it. But also unfortunately, as with the Socialist Party of Canada, the IWW and many European socialist parties, Comintern’s 21 Conditions imposed policies that were at odds with their own concept of the course of a socialist revolution. Pressured by the Palmer Raids of January, 1920, and threatened with trademark litigation by the Socialist Party of America, the SPUS in the early 1920s re-named itself as the "Socialist Educational Society" (SES). There were three locals in the SES period, located in Boston, Detroit, and New York. The NYC local was the most active and events often included Louis Boudin as a guest lecturer. In 1927, the SES changed its name again to the "Workers' Socialist Party" (WSP). The party published an irregular organ during the 1930s, The Socialist, which was launched in November, 1929, and continued publication until July 1938. The heyday of the WSP was 1930 and 1940s when it had perhaps 150 members. During the 1930s, the Boston Local held outdoor and indoor meetings, debates and economics classes six days a week. The WSP, however, made little headway elsewhere in the United States, although locals were founded in Los Angeles and San Francisco. During the Depression years, the Boston local’s membership grew until it became the largest and most active group within the WSP. In fact, outside of the Communist Party, the Boston Local of the WSP was without a doubt the most active and best-known organization professing Marxism in New England. In 1947 the party's name was again changed, this time to the current World Socialist Party of the United States, because it was being confused with the Socialist Workers’ Party, a Trotskyist organization. The change also emphasized the WSP’s internationalism and world outlook that socialism will be a cooperative, worldwide system, which has clearly not yet been established and refuses to support nationalism (or national liberation), hinders global working class solidarity. Nationalism is seen as a concept only useful to separate people, and is therefore anti-working class. The WSPUS diminished during the Red Scare period of the 1950s. It was a dark period for democracy where dissenters who voiced social criticism were suspected of indirectly assisting the USSR, and they were all but guilty of treason. Threats of social ostracism, loss of jobs, and government persecution silenced most critics who had any large audience. After the repressive situation improved, the WSPUS was unable to capitalize on the upsurge in political interest during the 1960s to eventually become moribund following the ending of publication of The Western Socialist. Much of the decline can be ascribed to the ageing of the membership and it required the understanding and cooperation of fellow workers and were lacking in this particular support. The WSPUS rejuvenated to a degree in the mid-1990s thanks to the internet and has members scattered across the United States but it has to be said the World Socialist Party of the United States faces a difficult task in its attempts to pick up the pieces once again. Today’s political climate can be viewed as one that is in a transition as was the socialist scene in the early 20th Century, remedial palliatives to capitalism on offer in the name of socialism but when a socialist supports a Democratic Party candidate, it is like boarding a train that is headed in the opposite direction of one’s destination. Sanders’ pro-capitalism is not a trivial issue. The Democratic Party is a top-down political party, controlled by corporations, and indisputably pro-capitalist. Capitalism is above all an economic system that promotes diametrically opposed interests between workers and capitalists. 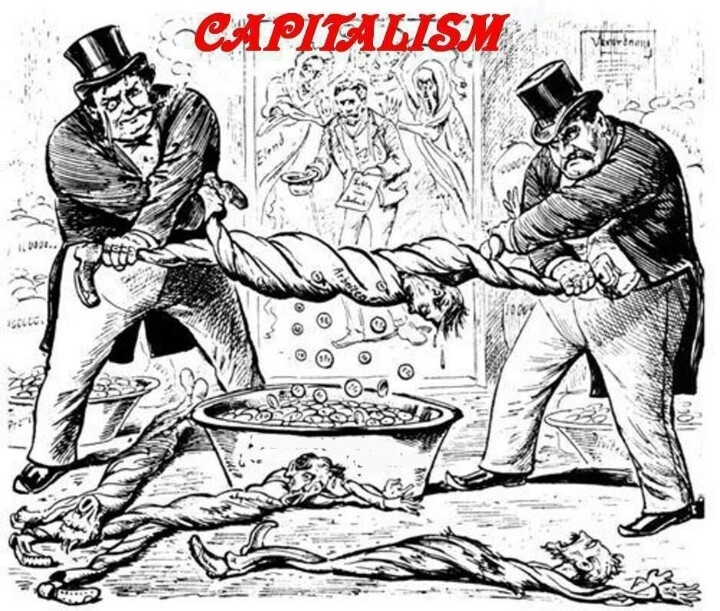 Capitalists must compete against one another in order to survive, and to compete successfully they must maximize profits, which in turn requires keeping production costs, including labor costs, to a minimum. Sanders might say he is for ordinary working people or for the “middle class,” but in so far as he embraces capitalism, he is also for corporations, because capitalism cannot operate smoothly without the smooth functioning of corporations, and hence, Sanders’ loyalties are at best divided, sowing more confusion than clarity. His distinguishing attribute is that he favors a tighter leash on corporations and a stronger safety net for the working class, which is mere reformism. America badly needs a vigorous socialist party. America is a plutocracy, which means a government of the rich, by the rich, and for the rich where politicians are financed by a select group of oligarchs. Always, there are groups in protest against some aspect or other of this social system. The energy and ingenuity they display in campaigns they consider important provides further proof that once working men and women get on the right track capitalism's days are numbered. Enthusiasm is an excellent and valuable thing when rightly applied, but when it is wasted in fruitless directions it only leads to disheartenment and apathy. The WSPUS has resisted all attempts on the part of those on the Left to renounce its principles and in doing so has been accused dogmatism and sectarianism. This charge is seen by the WSPUS as badge of political honesty and sincerity; of persistence and perseverance. These are precious attributes. But the WSPUS needs more than that. It requires the understanding and cooperation of fellow workers and it is humble enough to admit that it has been lacking in this particular support. The World Socialist Party’s message has always been the same message – that the workers can just as easily run society for their own benefit. The US 2016 presidential election has now been settled. It is between Hilarity Clinton and Donald Trump Like the boy who called wolf, the Democrats cry “ Don the fascist is coming!” and so we all rush to vote for the lesser evil - Clinton. The Presidential office is the highest in the land, and is therefore controlled most tightly by the capitalist class. The tragi-comedy known as the Clinton/Trump election is now being enacted. The stage settings were carefully prepared; the actors well-primed. Voting the lesser evil is a fool’s bargain. In an electoral season where people are itching for principle, they call for pragmatism, a pragmatism that has only ever seen the political spectrum swing to the right, where now we have a Republican in Democrat’s clothing against a Republican demagogue. Voting is a sacred cow. Popular slogans such as “if you don’t vote, you have no right to complain”, or “it is your duty to vote” are repeated ad nauseum. It is almost impossible to watch the news without the classic platitude from celebrities, to public intellectuals: “Whatever you do, just make sure you get out there and vote”. They ask “How do we bring the non-voters into our political process?” or “How can we engage voters?” but rarely do they question “Why are these voters not engaged” and never “Is their disengagement correct?” and “Should we join them in solidarity?” The lesser evil invariably paves the way and makes inevitable the greater evil because people cease to vote when they have been betrayed by the lesser evil. What lesser evilism is about is supping with the devil, but with a longer spoon. The Democrats and Republicans are not two opposing forces but rather complementary halves of a single two-party system; one beast with two heads that feed from the same trough. The two-party system is a self-correcting mechanism that shifts back and forth between the two parties, and within different wings of those parties, to maintain corporate political control. The two major parties have been extremely effective in preventing the emergence of any mass political formations that challenge their political duopoly. Both major parties have been dominated by moneyed interests and corporate rule. The Democratic Party preaches it’s the Republicans or us. Nothing else is possible. 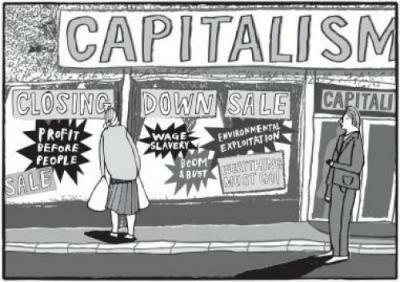 No matter what the outcome of the election no matter who wins, the continued existence of capitalism is guaranteed. 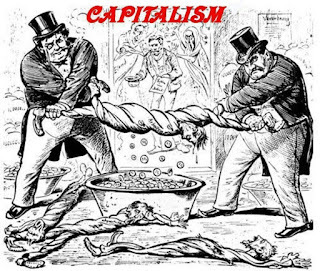 The problems of capitalist society have been described by journalists, novelists, historians, economists, sociologists, and even many politicians. But only socialists recognise that these problems cannot be solved until capitalism is replaced by a social system in which people throughout the world will work harmoniously together to produce and distribute wealth to satisfy society’s needs. Where the choice is between one capitalist politician and another, the defeat comes in accepting the limitation to this choice. The lesser evil has proven wrong in practice. We are tired of being blackmailed into voting for our enemies. We should realise that voting for one crooked politician to stop another backfires on the working class. Your vote does count in elections. It counts for capitalism. It becomes the mandate for all the actions of government over the next four years. There is nothing more dangerous for the workers than a socialist endorsing a class enemy. The idea of supporting any capitalist candidate is unspeakable. Our goal is for the working class to become conscious of itself and become a power in society. 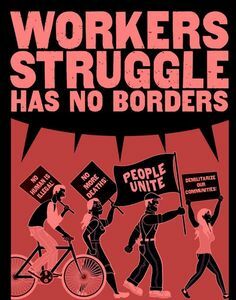 Genuine socialists understand that all political consciousness begins with recognition of the fundamental class division: the working class versus the ruling capitalist class. Success in the class struggle demands working-class independence from all capitalist parties. The Socialist Party uses electoral campaigns to promote socialist consciousness among workers and it cautions that social change cannot be achieved by electing a capitalist candidate. But too often political activists on the Left feel a desperate need to offer a “pragmatic” electoral policy. But all they are doing is giving a “radical” cover to capitalist reformism and offering a diversion from the necessary task of making socialists. Socialists are for socialism. We are for world socialism as the only way to abolish all the evils of modern class society. The Democratic Party is a death-trap for the exploited working class. Reformists are Judas goats, helping to lead the working class into the slaughterhouse. Well-meaning, good-intentioned reformers have nearly obliterated one of the fundamental principles of socialism, that the independent working class must create its own revolutionary party and put an end to class collaboration. A genuine working-class party would tell the truth about the system. Working people must reject the “lesser evil” argument for Clinton (or for Corbyn, for that matter) – there is no such thing when the choice is between measles and German measles. The “lesser evil” fallacy serves only to underestimate the danger of the poison you opt for. In the conflict between Tweedledum and Tweedledumber our advice is to spoil the ballot paper and abstain from voting for either evil. The only way we can prevail is by offering an alternative – don’t play the game, don’t be forced into a false and hypocritical “choice”. The only way to save democracy is to expose the falsity of the choice at hand. In the end, it is all about deciding what better course could there be than to work for the abolition of capitalism and the establishment of socialism? Over the past 50 years, more than half of the world’s countries have carved out pieces of their territories to hand over to foreign investors as special economic zones (SEZs). The International Labor Organization (ILO) estimates that more than 66 million people—most of them young migrant women—work in the world’s more than 3,000 SEZs. “Any country that didn’t have an SEZ 10 years ago either does now or seems to be planning one,” the World Bank’s Thomas Farole told The Economist in 2015. But while the success of such zones is often gauged by how much foreign money they attract, or how much economic growth they generate, the voices of the millions of workers that power these spaces are seldom heard. Typically, the carrots offered investors are special tax and tariff breaks, as well as cheap land, water and electricity. In some countries these enclaves also confer exemptions to national labor laws. In Pakistan, workers are forbidden to strike or take other industrial action in these enclaves. In Togo, government labor inspectors struggle to enter the zones because of laws restricting their access. The website of the Nigeria Export Processing Zones Authority declares: “There shall be no strikes or lock-outs for a period of 10 years following the commencement of operations in the zone ... and any trade dispute arising within a zone shall be resolved by the Authority.” But even when this is not the case, these zones have become hotspots for workers’ rights violations. Shenzhen covers almost 800 square miles and its total economic output is equivalent to or greater than that of Ireland or Vietnam. Its tens of thousands of factories have produced millions of iPhones, handbags, jeans and more for export around the world. Once an SEZ’s workforce mobilizes and begins to make demands, companies can simply move on to a new frontier. The ILO calls SEZs “a symptom of the race to the bottom in the global economy.” In Shenzhen, factory closures and redevelopment are leaving migrant workers jobless, homeless and desperate. Many of the policies pioneered there, like short-term labor contracts and performance-based wages, have since been rolled out nationwide. Jonathan Bach, associate professor and chair of the global studies program at the New School in New York, explains that the problem for Shenzhen now is no longer, ‘How do you get as many workers into Shenzhen as you can?’ but rather, ‘How do you get the low-skilled workers demanding higher wages out?’. Instead of the workers who used to do that lower-level work simply being retrained, you have companies just moving to wherever they can find that low-level work,” he says. “That’s the whole name of the game in the global economy: to play countries off one another. And the idea of the special economic zone was sort of to allow countries to have different jurisdictions, even within their own national jurisdictions.” An example is the iPhone manufacturer Foxconn as a company “moving all over China, trying to get a better deal.” The practice is parallel to the way U.S. states have enticed factories with development deals and anti-union laws in the so called “right-to-work” Southern republican-controlled states. Under Cambodian law the right to organise is supposed to be guaranteed. No employer, government agent or citizen may impede union activity. Inside the walls of Cambodia’s largest special economic zones, however, In These Times’ reporters saw a system designed to tightly control the workforce by keeping workers fenced in and unions out. More than a dozen workers and labor activists confirmed that, while it's not easy to independently organize anywhere in Cambodia, the law is flagrantly violated in SEZs. The result is seething discontent. Most of Cambodia’s labor force is represented by “yellow unions,” which are linked politically to the ruling party and effectively represent the government and employers, rather than workers. Cambodia’s bloc of independent unions is relatively small, but it scares Cambodia’s powerbrokers. Union leaders have been beaten, imprisoned on trumped-up charges and murdered. While it is hard to organize anywhere in Cambodia, every independent union member who spoke with In These Times said it is even harder inside an SEZ. Firing workers for organizing is illegal in Cambodia. So is hindering organizing efforts. In These Times identified eight multinationals whose products are reportedly made in Cambodian SEZs, including PPSEZ and Manhattan SEZ. Six, including Apple and Puma, have corporate codes of conduct supporting union rights. “Every second, one person is displaced by disaster,” the Oslo-based Norwegian Refugee Council (NRC) reports. “In 2015 only, more than 19.2 million people fled disasters in 113 countries. Disasters displace three to ten times more people than conflict and war worldwide. As climate change continues, it will likely lead to more frequent and severe natural hazards; the impact will be heavy, warns this independent humanitarian organization. Climate change and related extreme weather events have devastated the lives and livelihoods of tens of millions of most vulnerable people worldwide. However, the crisis receives just a tiny fraction of mainstream media attention. “Climate change is our generation’s greatest challenge,” says Jan Egeland, Secretary General of the Norwegian Refugee Council. 26 million people are displaced by disasters such as floods and storms every year. That’s one person forced to flee every second. The International Organisation for Migration (IOM) forecasts 200 million environmental migrants by 2050, moving either within their countries or across borders, on a permanent or temporary basis. Many of them would be coastal population. The United Nations Environment Programme warns that coastal populations are at particular risk as a global rise in temperature of between 1.1 and 3.1 degrees C would increase the mean sea level by 0.36 to 0.73 meters by 2100, adversely impacting low-lying areas with submergence, flooding, erosion, and saltwater intrusion. Director general of the International Organisation for Migration, William Lacy Swing, said that coastal migration is starting already but it is very hard to be exact as there is no good data to be able to forecast accurately. “We do not know. But it is clearly going to figure heavily in the future. And it’s going to happen both in the low-lying islands in the Pacific and the Caribbean, and in those countries where people build houses very close to the shore and have floods every year as in Bangladesh. It is quite clear that we will have more and more conflicts over shortages of food and water that are going to be exacerbated by climate change,” Lacy Swing warned. Hepatitis is an inflammation of the liver, most often caused by a virus but sometimes by drug or alcohol abuse, other infections, or autoimmune diseases. There are five main types, known as A, B, C, D and E. According to the World Health Organization, types A and E are typically transmitted via contaminated food or water, while B, C and D usually occur from contact with body fluids of an infected person. 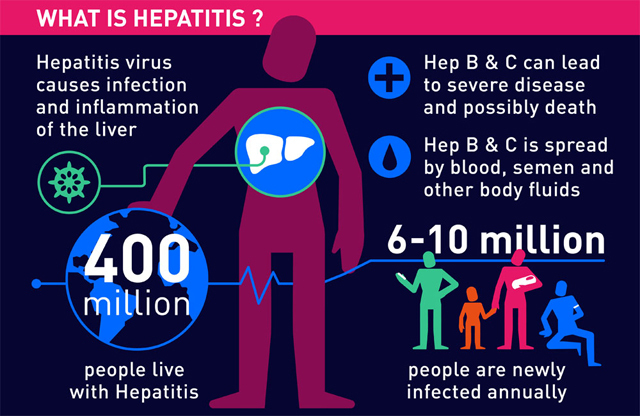 400 million people around the world infected with hepatitis B or C.
The number grows by 6 to 10 million a year. 95 per cent of people infected with hepatitis B or C do not know they are infected. 96 per cent of hepatitis deaths are caused by types B and C.
90% of people with hepatitis C can be completely cured within 3–6 months. The Serbian prime minister, Aleksandar Vučić, said in June that his country could increase production fivefold and still not meet the demand for arms. “Unfortunately in some parts of the world they are at war more than ever and everything you produce, on any side of the world you can sell it,” he said. Arms export data, UN reports, plane tracking, and weapons contracts examined during a year-long investigation reveal how the munitions were sent east from Bosnia, Bulgaria, Croatia, Czech Republic, Montenegro, Slovakia, Serbia and Romania. Since the escalation of the Syrian conflict in 2012, the eight countries have approved €1.2bn (£1bn) of weapons and ammunition exports to Saudi Arabia, Jordan, the United Arab Emirates and Turkey – key arms markets for Syria and Yemen. Eastern and central European weapons and ammunition, identified from videos and photos posted on social media, are now being used by western-backed Free Syrian Army units, but are also in the hands of fighters from Islamist groups such as Ansar al-Sham, the al Qaeda-affiliated Jabhat al-Nusra, Islamic State, factions fighting for the Syrian president, Bashar-al-Assad, and by Sunni forces in Yemen. The Saudis and Turks are known to have provided weapons directly to Islamist groups not supported by the US. The weapons pipeline opened in the winter of 2012, when dozens of cargo planes, loaded with Saudi-purchased Yugoslav-era weapons and ammunition, began leaving Zagreb bound for Jordan. Soon after, the first footage of Croatian weapons emerged from Syria. Croatia’s government has consistently denied any part in shipping weapons to Syria, but Robert Stephen Ford, the US ambassador to Syria between 2011 and 2014, said Zagreb had concluded a deal in 2012 that the Saudis bankrolled. This was just the beginning. Since 2012, BIRN and OCCRP say, €806m worth of weapons and ammunition exports were approved by the eastern European countries to Saudi Arabia. Jordan secured €155m worth of export licences in this period, the investigators say, while the UAE acquired €135m and Turkey €87m, bringing the total for those four years to just under €1.2bn. The United States has also bought and delivered large quantities of military materiel from central and eastern Europe for the Syrian opposition in an attempt to counter the spread of Isis. Since December 2015, three cargo ships commissioned by the US military’s Special Operations Command (Socom), in charge of the covert supply of weapons to Syria, have left Black Sea ports in the Balkans for the Middle East, according to American procurement documents and ship tracking data. Some 4,700 tonnes of Warsaw Pact weaponry – including heavy machine guns, rocket launchers and anti-tank weapons, as well as bullets, mortars, grenades, rockets and other explosives – have been delivered from Bulgaria and Romania to military facilities in Jordan and Turkey, according to procurement documents and ship tracking data. The latest US-chartered ship left Bulgaria on 21 June carrying about 1,700 tonnes of the same material to an unidentified Red Sea port. There are approximately 10.2 million children working in India. A new bill prohibits children under the age of 14 from working - but makes an exception for "family businesses", including extended family has come under criticism. The government says the law will help poor families earn a living and give children a chance to acquire skills. Activists say that the exemption that allows children to work for family businesses after school hours and during holidays clears the way for children to be employed in industries like diamond cutting, scavenging, brick kilns, slaughter-houses or as domestic help. The Bill does not seek to justify routine family work, but the work that millions of children render in home-based units of beedi rolling, bindi and bangle production, agarbatti and papad making, zari and embroidery work, packing and sticking labels, chappal making, handicrafts and the manufacturing of several other products. This is the work that requires the entire family to participate in meeting the demands of contractors who supply them with the material and procure the finished product on a piece-rate basis. Such work is a form of hidden exploitation under unregulated labour conditions in which numerous children from deprived and marginalised communities are engaged. It is the kind of work in which poor landholders are tied to the creditors who provide them with seeds and fertilisers, often forcing them into a long-term contract on adverse terms and conditions which force the entire family to work as cheap labour on their own farms. Children get trapped in this vicious cycle of oppression and work as farm labour along with the entire family especially during peak seasons at the cost of education. It is the kind of work that starts before and after school hours until late in the night at the cost of children’s health until they can no longer concentrate in the classroom or participate in school and are branded as slow learners. Unable to straddle both school and work, these children are forced to give up the former. The pressure to incorporate a proviso that allows children to work after school hours is for those who benefit from this, the employers and contractors who make their profits over home-based units in the informal sector. Such work incorporates children into the family occupation and thus somehow maintains the status quo and perpetuates caste hierarchy. Taken to its logical conclusion, it implies that it is best for the children to continue in their family profession – a potter’s child ends up as a potter, a weaver’s child a weaver and an agricultural labourer’s child a farm worker. Being insensitive to the challenges faced by the most deprived castes and communities, the amendment defeats its very purpose – enabling children to enjoy their right to education. By justifying in law the participation of children in work before and after school hours, the Bill denies them the time and space to develop and grow as citizens with similar choices and opportunities that children from affluent families enjoy. Such a proviso would only contribute towards fostering existing inequalities and discriminatory practices in society. The amendment has also inserted a new section that prohibits the employment of adolescents – children in the age group of 14-18 years. The extension of age under the Act should be a viewed as a positive step. However, it prohibits child labour only in mines, in the production of inflammable substances or explosives and the hazardous processes assigned with it in clause of the Factories Act, 1948. Thus, it actually gives a legal sanction for the employment of adolescent children in all other sectors. It is totally oblivious to the extent of exploitation and suffering of innumerable adolescent children, who move from working on construction sites, to sweat shops and farms and so on, and who are trapped by the hardships of fulfilling their basic needs and struggle for survival. Such adolescent children are often unhealthy, yet continue to work till they become completely incapacitated. The burden of the state’s inability to provide social protection, food security, employment, universal health care, access to credit and financial support to their parents falls on adolescent children. "Under the new Child Labour Act, some forms of child labour may become invisible and the most vulnerable and marginalised children may end up with irregular school attendance, lower levels of learning and could be forced to drop out of school," Unicef India's Chief of Education Euphrates Gobina said in a statement. Indian Nobel peace prize winner Kailash Satyarti said the bill was a "missed opportunity" for India. "The definition of family and family enterprises is flawed. This Bill uses Indian family values to justify economic exploitation of children. It is misleading the society by blurring the lines between learning in a family and working in a family enterprise," he said in a statement, adding that the government had failed its children once again. 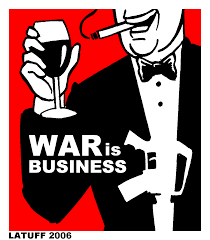 The arms trade and weapons deals are a way of life in capitalism. Significant parts of the world economy are intent on ensuring that armaments flood the global market and war profiteers will live the good life. Asked by Myles Walton, an analyst from Germany’s Deutsche Bank if an Iran agreement could “impede what you see as progress in foreign military sales,” Marillyn Hewson, the chief executive of Lockheed Martin, responded volatility all around the region” should continue to bring in new business. According to Hewson, “A lot of volatility, a lot of instability, a lot of things that are happening” in both the Middle East and the Asia-Pacific region means both are “growth areas” for Lockheed Martin. Under Hewson, Lockheed has set a goal of getting at least 25% of its revenues from weapons exports, and Boeing has done that company one better. It’s seeking to make overseas arms sales 30% of its business. The Middle East is hardly the only growth area for that firm or others like it. The dispute between China and its neighbors over the control of the South China Sea (which is in many ways an incipient conflict over whether that country or the United States will control that part of the Pacific Ocean) has opened up new vistas when it comes to the sale of American warships and other military equipment to Washington’s East Asian allies. In the past two years alone, the U.S. has offered more than $15 billion worth of weaponry to allies in East Asia, with Taiwan, Japan, and South Korea accounting for the bulk of the sales. Growing fears of North Korea’s nuclear program have stoked a demand for U.S.-supplied missile defense systems. The South Koreans have, in fact, just agreed to deploy Lockheed Martin’s THAAD anti-missile system. The Obama administration’s decision to end the longstanding embargo on U.S. arms sales to Vietnam is likely to open yet another significant market for U.S. firms. The Obama administration has gone to great lengths to build a defense relationship with India, a development guaranteed to benefit U.S. arms exporters. Last year, Washington and New Delhi signed a 10-year defense agreement that included pledges of future joint work on aircraft engines and aircraft carrier designs. In these years, the U.S. has made significant inroads into the Indian arms market, which had traditionally been dominated by the Soviet Union and then Russia. Recent deals include a $5.8 billion sale of Boeing C-17 transport aircraft and a $1.4 billion agreement to provide support services related to a planned purchase of Apache attack helicopters. The United Kingdom has been by far the biggest purchaser of U.S. weapons in Europe of late, with more than $6 billion in deals struck over the past two years alone -- more, that is, than the U.S. has sold to all other European countries combined. The British defense behemoth BAE is Lockheed Martin’s principal foreign partner on the F-35 combat aircraft, which at a projected cost of $1.4 trillion over its lifetime already qualifies as the most expensive weapons program in history. If Brexit-driven austerity were to lead to a delay in, or the cancellation of, the F-35 deal (or any other major weapons shipments), it would be a blow to American arms makers. But count on one thing: were there to be even a hint that this might happen to the F-35, lobbyists for BAE will mobilize to get the deal privileged status, whatever other budget cuts may be in the works. Business prospects opportunities in Eastern and Central Europe are on the rise due to a new Cold. Between 2014 and 2015, according to the Stockholm International Peace Research Institute, military spending increased by 13% in the region in response to the Russian intervention in Ukraine. The rise in Poland’s outlays, at 22%, was particularly steep. Obama was recently in Poland demanding the EU / NATO spend at least 2% of their GDP ON WEAPONS! 5 UN Security Council permanent members US, UK, France, Russia, China. The 5 BIGGEST Weapons/Arms dealers... U.S., UK, France, Russia, China. According to the latest figures available from the Congressional Research Service, the United States was credited with more than half the value of all global arms transfer agreements in 2014, the most recent year for which full statistics are available. At 14%, the world’s second-largest supplier, Russia, lagged far behind. The U.S. share has fluctuated between one-third and one-half of the global market for the past two decades, peaking at an almost monopolistic 70% of all weapons sold in 2011. Vice Admiral Joe Rixey, who heads the Pentagon’s arms sales agency, known as the Defense Security Cooperation Agency, estimates that arms deals facilitated by the Pentagon topped $46 billion in 2015, and are on track to hit $40 billion in 2016. The Defense Security Cooperation Agency is funded from a 3.5% surcharge on the deals it negotiates. This gives it all the more incentive to sell, sell, sell. 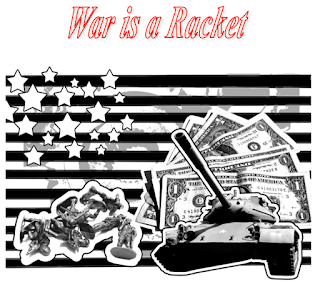 "War is a racket. It always has been." explained US Maj-General Smedley Butler, "It is possibly the oldest, easily the most profitable, surely the most vicious. It is the only one international in scope. It is the only one in which the profits are reckoned in dollars and the losses in lives. 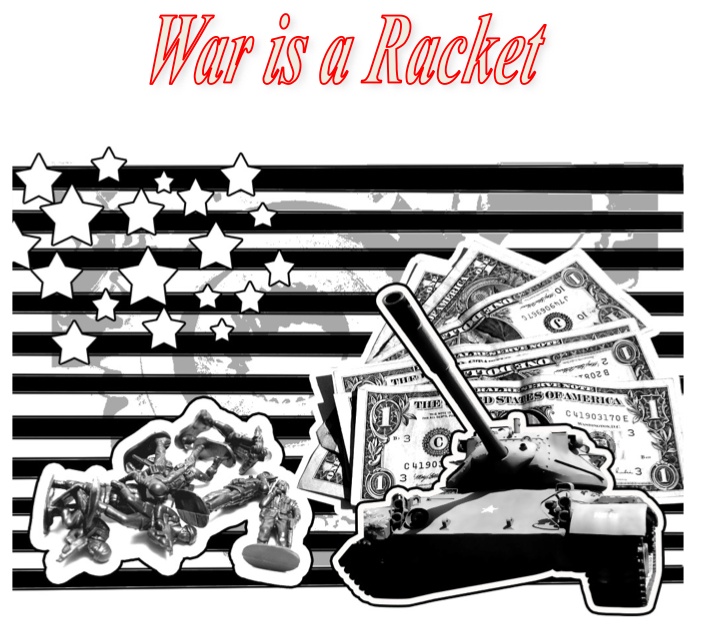 A racket is best described, I believe, as something that is not what it seems to the majority of the people. Only a small "inside" group knows what it is about. It is conducted for the benefit of the very few, at the expense of the very many. 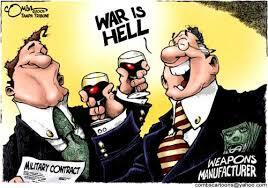 Out of war a few people make huge fortunes." Using data from the OECD’s recent employment outlook the TUC found that between 2007 and 2015 in the UK, real wages fell by 10.4%, the joint lowest in OECD countries. That drop was equalled only by Greece. The TUC also found that over the same 2007-2015 period, real wages grew in Poland by 23%, in Germany by 14%, and in France by 11%. Across the OECD, real wages increased by an average of 6.7%. The UK, Greece and Portugal were the only three OECD countries that saw real wages fall. The UK’s relatively poor performance on wage growth was highlighted by the OECD in its annual employment report this month. Because of a squeeze since the global financial crisis, real hourly wages were more than 25% below where they would have been if wage growth had continued at the rate observed during 2000-07, the think-tank found. It said that more widely, across its 34 member countries employment had almost recovered to pre-crisis levels but weak wage growth had blighted living standards. But the TUC analysis found that although the UK employment rate had increased since the economic crisis, Germany, Hungary and Poland had increased employment rates more while raising real wages at the same time. Andy Haldane, the Bank of England’s chief economist, also explored why the recovery had not been felt by everyone. He concluded “the majority of UK households have faced a lost decade of income” as he noted that half of all UK households have seen no material recovery in their real disposable incomes since around 2005. THE FOOLING RATE OF PROFIT! An erudite exposition of exacting economics. To alter what firms earn. By what each ‘expert’ thinks. Was that of a slow fall. Affects the facts they find! Such prophets start to think! In order to escape poverty and support their families back home, thousands of domestic workers from South and South-East Asia migrate to Oman with the promise of stable employment in local households. Once they arrive in Oman, new employers often seize their passports so that they cannot depart when they want, ultimately, denying them their freedom of movement. They are made subject to excessive working hours, sleep deprivation and starvation. Many suffer from verbal or sexual abuse. All too often, the money they work so hard for is denied to them. According to a report by Human Rights Watch, a great number of female migrant domestic workers fall prey to such abusive employment, and become Oman’s modern-day slaves. The country’s visa sponsorship system, known as kafala, as well as the absence of labour law protections for domestic workers make migrant workers highly vulnerable to exploitation. 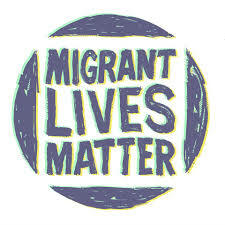 The kafala creates an “unbreakable” tie between the migrant worker and their employer, which means that the migrant worker’s visa is directly conditioned by the employer. This prohibits migrant workers from switching jobs, even if they face abuse at their workplace. At least 130,000 migrant domestic workers are affected by the kafala system. amilies in Oman acquire their services through recruitment companies, employing them to take care of their children, cook meals, and clean their homes. The recruitment companies typically ask for a fee to be paid for the mediation, and several migrant workers interviewed by Human Rights Watch said that their employers demanded they pay them back the recruitment fee in order to be released from their service. A report from Human Rights Watch also stated that women who decide to escape their abusive employment often face legal penalties. Some women risk getting reported as “absconded”, an offense which can lead to their deportation or even a criminal complaint against them. Several Omani lawyers confirm that they have no confidence in Oman’s labour dispute settlement procedure or courts for redress for domestic workers, some embassy officials dissuade domestic workers from even fighting for their case, due to the lengthy process and the high probability of facing defeat.Once a migrant worker has escaped an abusive employer, very few options remain. If the women go back to the agencies that recruited them, the agents often beat them and forcefully place them into new families. The Omani police offers little help, usually dismisses the domestic workers’ claim, and returns them to the family they came from, where in several cases, the workers are assaulted by their employers, Human Rights Watch says. “Employers can force domestic workers to work without rest, pay, or food, knowing they can be punished if they escape, while the employers rarely face penalties for abuse”, Rothna Begum, a Middle East women’s rights researcher at Human Rights Watch, confirms. Asma K., a domestic worker from Bangladesh, told Human Rights Watch that she was not only “sold” to a man, her passport had also been taken away from her, and she was forced to work 21 hours a day tending to the needs of 15 people. Asma was both sexually and verbally abused, denied of her right to a fair wage in addition to being deprived of food. Many other female domestic workers share Asma K.’s story. In order to protect its nationals from abusive employment, Indonesia has banned migration to Oman, as well as other countries with a similar history of migrant labour abuse. However, such bans often have an opposite effect, leaving those most desperate for work vulnerable to traffickers or forced labour as they try to sidestep their own country’s restrictions. Human Rights Watch states that several countries do not protect their nationals against abusive employment, nor do they provide help to those who fall victim to trafficking, abuse and mistreatment living abroad. In 2012, Oman promised the United Nations Human Rights Council to look for alternatives to the kafala system, however, Human Rights Watch states that no concrete proposal has since been made, and up until now, Oman’s labour law does not protect domestic workers. In April 2016, a Ministry of Manpower official stated in the Times of Oman that Oman is considering protecting domestic workers under its labour law, however, when requested for information on possible law reforms or other measures to protect domestic workers, the Omani government remained silent. Unaccompanied child migrants living in squalid conditions across Europe should not be treated as “somebody else’s problem” by the UK Government, a new cross-party parliamentary report has urged. It condemns the UK and EU member states for shirking their responsibility to care for unaccompanied children. The report also categorically dismisses the Government’s argument that the prospect of family reunification could encourage families to send children to Europe unaccompanied in order to act as an “anchor” for other relatives. It also criticises the “lack of burden sharing” between local authorities in Britain - while the 32 London authorities have taken in 1,304 children just 50 are cared for by the 16 authorities in the South West. The report, ‘Children in Crisis: unaccompanied migrant children in the EU’, recommends the establishment of an independent guardianship scheme – at both an EU and UK level – to ensure decision are taken in the best interests of migrant children. Charlotte O'Brien, a senior lecturer in law at the University of York, exposes some myths about EU immigration. The overall impact of EU migration is beneficial to the UK. EU migrants are more likely to be in work than UK nationals. And, according to the UCL Centre for Research and Analysis of Migration, EU migrants provide a net economic benefit of £22bn. As the LSE Centre for Economic Performance notes, “this effects may seem small, [but] in the longer-run impact could be substantial”. EU migrants are net contributors to public finances, and to a greater degree than UK nationals. They are not merely paying their way – but they are paying some of our way too. Public services are potentially better funded per head than they would be if EU migrants were not here. If we scrapped free movement there might be fewer people in the UK, but they would be competing for comparatively fewer resources. Studies have found no systematic evidence to link immigration with pressure on schools or the NHS. In fact, the average use of health services is “considerably” lower for immigrants than UK born nationals, and EU migration does not lead to an increase in waiting times, either. Many worry that the presence of EU nationals makes it harder for UK nationals to find jobs. But the perception of the labour market as a zero sum game is what economists term the “lump of labour fallacy” – or, as the poet Hollie McNish calls it, “crappy mathematics”. The Migration Advisory Committee conducted a study in 2012, looking for the relationship between migrant work and the employment of UK nationals. For every 100 EU migrants working the UK, they found there was no statistically significant associated reduction in UK employment. In other words, EU migrants are not making it harder for UK nationals to find jobs. Studies vary as to whether there is an overall increase or decrease in wages linked to EU migration, but in either case the overall effect is small (a 1 per cent increase in immigration can leading to 0.1-0.3 per cent difference). These differences are not felt evenly along the wage spectrum, however; the Bank of England’s research found that the biggest effect is in the semi-skilled and unskilled services sector, where a 10 percentage point rise in the proportion of immigrants is associated with a 2 per cent reduction in pay, which might provide an argument for stronger wage regulation. Existing evidence is unclear as to whether there is a relationship between immigration and social cohesion problems. There are some indicators suggesting a reduction in shared social norms and civic participation as immigration increases, but these may be offset by the creation of more co-ethnic communities, which become cohesive. Other studies have argued that income inequality plays a larger role than immigration in social cohesion. Roger Witcomb, who led the Competition and Markets Authority’s two-year investigation into the UK’s energy industry, has suggested that suppliers’ profits are far too high, as much as five times higher, given their limited role in metering and billing customers. A report, published today by the Commons Work and Pensions and Business committees, once more highlights what the committees describe as “the unacceptable face of capitalism”. Theresa May will face calls today to act on her promise to get tough on irresponsible business practices by stripping the former BHS boss, Sir Philip Green, of his knighthood. A new report from a group of MPs goes into scandalous detail of how Sir Philip pocketed hundreds of millions of pounds for himself and his wife, leaving the famous chain store on “life support” before selling it off to a “wholly unsuitable chancer”. After examining his record, a group of MPs from all parties have reached the devastating conclusion that they could find “little to support the reputation for retail business acumen for which he received his knighthood”. The points out that thousands will suffer from what it describes as a “litany of failure”. They include BHS’s 11,000 employers, many on low pay, whose jobs are at risk. Twenty BHS stores closed over the weekend and there is too little money left in the company to cover the pensions of its 20,000 current and former employees. Yet those at the centre of the scandal “have walked away greatly enriched”, the report states. The biggest gainers are Sir Philip and his wife, Lady Tina Green, who are hundreds of millions of pounds richer. The report describes the buyer of BHS, Dominic Chappell, and his associates as “incompetent and self-serving” adding that Sir Philip, Mr Chappell “and the respective directors, advisers and hangers-on who all got rich or richer are all culpable”. Anthony Grabiner, who gave what he called “after event ratification” to the sale of BHS – meaning that as chairman of the board he approved a decision taken at a board meeting to which he had not been invited. The report says: “The complacent performance of Lord Grabiner as the non-executive chairman of the Taveta group boards represented the apogee of weak corporate governance.” Two directors jumped ship with personal financial rewards that it would take many BHS employees decades to earn. The others continued to profit handsomely from their positions without fulfilling their requisite responsibilities. Sir Philip Green bought BHS in May 2000 for £200m and sold it for the same amount to Taveta 2, a Green family firm in July 2009. Taveta sold it for £1 in March 2015 to Retail Acquisitions Ltd (RAL), owned by Dominic Chappell. BHS showed an increase in profit for a brief period after Sir Philip took over, but the man known as the “king of the high street” achieved this through cost cutting and squeezing suppliers, not by investing or improving turnover. In those years, dividends worth £414 – twice BHS’s after tax profit of £208m – were paid, of which, according to the report, £307m went to the Green family. In 2001, ten BHS stores were sold for £106m to Carmen Properties, a firm registered in Jersey and ultimately owned by Sir Philip’s wife, Lady Tina Green, who lives in Monaco. Both Jersey and Monaco function as tax shelters. BHS paid Carmen £153m in rent before buying back the properties for £70m. The arrangement “reduced profits earned in the UK on which tax was payable.” In 2005, Tavena paid its shareholders what was described as “the biggest pay cheque in British corporate history” of £1.3bn. As a result of such pay outs, the report says “by 2014, BHS was left on life-support”. The chain of stores was then sold to a buyer, Chappell, who “brought no new money to the deal, took no personal risk, could offer no equity and had no means of raising funds on a sustainable basic”. Chappell ‘had his hands in the till’. His description of £2.6m that he personally took, in addition to an outstanding £1.5m family loan, as a “drip” in the ocean is an insult to the employees and pensioners of BHS. Hundreds of refugees have set off marching from the Serbian capital to the Hungarian border in protest against closed borders and European Union restrictions on entry. Human Rights Watch released a report criticising Hungary's treatment of refugees and migrants detained after entering or while attempting to enter its territory. The report claims that a group of 30 to 40 refugees and migrants - among them women and children - were beaten by soldiers for two hours after being held in Hungary. Lydia Gall, HRW's regional researcher, said that "the abuse of asylum seekers and migrants runs counter to Hungary's obligations under European Union law, refugee law and human rights law". "The European Commission should use its enforcement powers to press Budapest to comply with its obligation under EU law, to provide meaningful access to asylum and fair procedures for those at its borders and on its territory. Hungary is breaking all the rules for asylum-seekers," Gall said. Hungary built a razor-wire fence along the 175km border with Serbia and criminalised breaching or damaging the fence to enter the country. Hungarian forces can expel to Serbian territory any refugee or migrant caught within 8km on the Hungarian side of the border without any deportation process. Hungarian authorities allow 15 people a day - 14 from families and one single male - to enter a pair of transit zones between the two countries and apply for asylum. 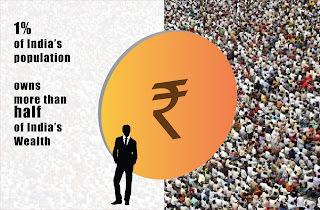 Though India's economy has grown rapidly in recent years, the benefits have gone largely to the rich. The top 1% that owned a little more than a third of India's wealth in 2000, now own more than half the wealth in the country. In this same period, the share of 99% of India's population went down from almost two-third to less than half. 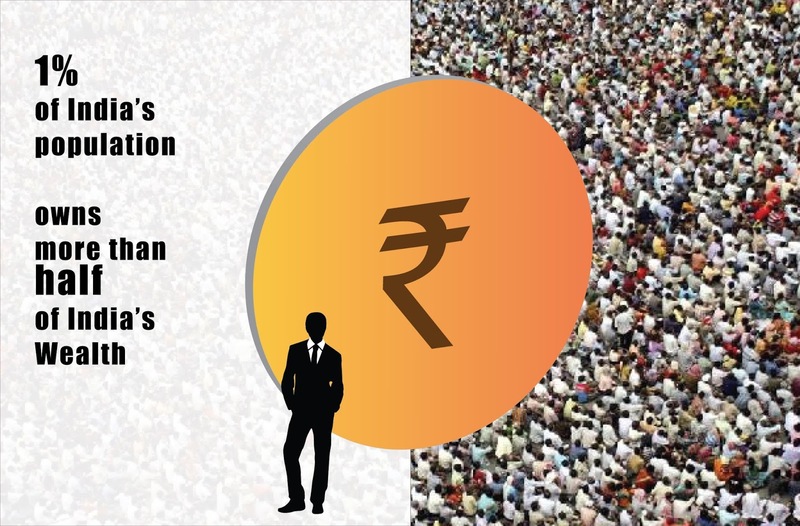 In the last decade and a half, India's wealth has increased by more than 3 times – from 75 trillion rupees to 224 trillion rupees. More than 60% of this increase, or 90 trillion rupees, has gone only to the top 1%. As a result, the top 1%’s share in India's wealth has increased from 36.8% in 2000 to 53% by 2015. 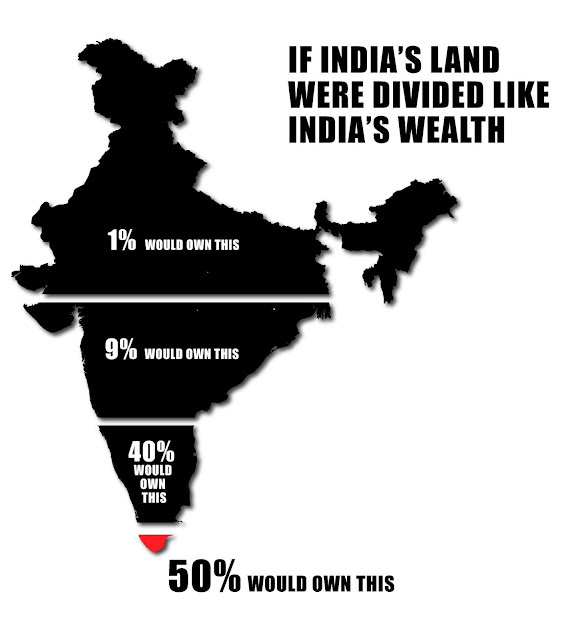 India's wealth distribution is even more skewed as a result. 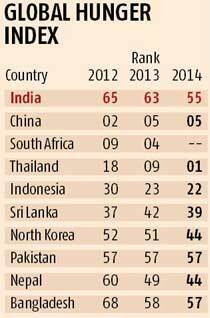 India’s share in world’s hungry people has gone up from 1/5th in 1991 to 1/4th in 2015. Similarly, India's share in world illiteracy has also increased in this period. Child undernourishment in India is worse than those of countries designated Least Developed Countries (LDC). The per capita income of these LDC is less than half that of India. India has one of the most privatized health care systems in the world. Every year, 40 million Indians are pushed into poverty because of the burden of health-related out of pocket expenditures. All these problems persist despite the fact that we now have the resources to deal with them. The U.S.A could feed significantly more people from existing agricultural land. Using ten different scenarios ranging from the average American diet to a purely vegan one, a team led by scientists from the Friedman School of Nutrition Science and Policy at Tufts University estimated that agricultural land in the contiguous U.S. could have the capacity to feed up to 800 million people -- twice what can be supported based on current average diets. The researchers found that a vegetarian diet that includes dairy products could feed the most people from the area of land available. "Dietary choices can influence the ability of agriculture to meet our need for food," said lead author Christian Peters, Ph.D., associate professor at the Friedman School. "Our approach challenges the 20th century emphasis on increasing yield and production. Improving crop yields remains vitally important, but it is not the only way to increase the number of people fed per acre. Our aim is to identify potential agricultural-sustainability strategies by addressing both food consumption and production." Peters and his colleagues, including researchers from the Friedman School, Cornell University and Syracuse University, chose ten dietary scenarios that were comparable nutritionally, but varied by the sources of protein. Eight of the diets complied with the 2010 Dietary Guidelines for Americans. A baseline diet represented the country's current food consumption -- higher in meats, grains, fats and sweeteners than the other dietary scenarios. In this baseline diet, roughly 80 percent of available cropland was used to grow crops for animal feed, such as hay, while the other 20 percent was devoted to fruits, vegetables and grains for human consumption. The remaining dietary scenarios ranged from 100 percent of the population eating a healthy omnivorous diet (a balance of meat and plant-based foods), to 100 percent of the population eating a vegan diet (which excludes meat and all other animal by-products such as milk, eggs and honey). Intermediate scenarios included varying proportions of omnivores and vegetarians, and the accompanying cropland usage varied accordingly. • A lacto-vegetarian diet (a vegetarian diet that includes dairy products) had the highest carrying capacity, meaning that it could feed the most people from the area of land available. • Diets including some meat can feed more people than vegan diets, depending on estimates of how much land is suitable for crop cultivation. • The baseline diet had the lowest carrying capacity and required eight times more land than a vegan diet. • As the amount of meat in the diet was reduced between scenarios, the amount of land necessary for crops to feed livestock was also reduced. • The overall results from the model estimate that U.S. agricultural land has the capacity to meet the needs of a population 1.3 to 2.6 times larger than the U.S. population in 2010.